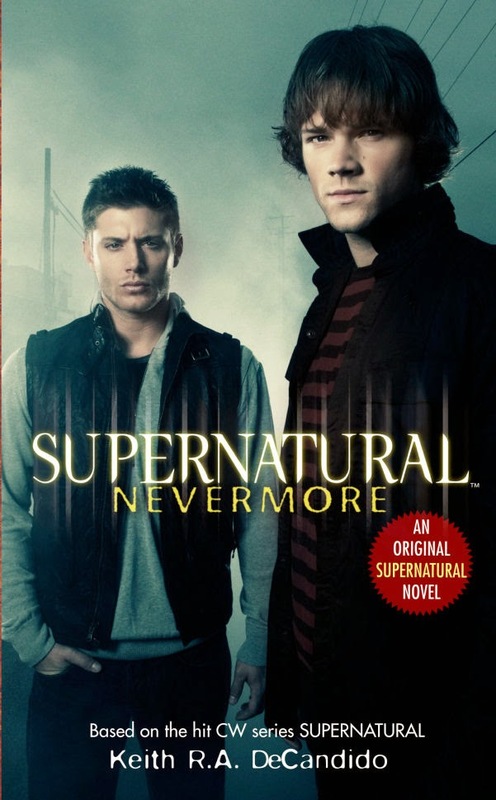 This tie-in novel for the television series Supernatural refers to a small network of cops who help out Hunters protecting people from supernatural threats is "a woman in Chicago named Murphy." This is a reference to Karrin Murphy from Jim Butcher's Dresden Files series of novels. Both Supernatural and The Dresden Files have independent links bringing them into the CU, and this reference confirms that they take place in the same universe. So far, most of The Dresden Files does take place in ways/places the normal person doesn't see, so it would fit with Farmer's concept of "the world outside our window." This makes me happy, as it is one of my favorite series. What are the other references linking in the Dresden Files? Is it just the mention of Dracula in book 5 and the mention of Buffy in one of the short stories in Side Jobs? I've only read through book 7 of the series (and the comics and short stories up to that point), so I don't know if there may be others beyond where I've read. BLOOD RITES has a mention of the Necronomicon. Harry Dresden is also alluded to a couple of times in Justin Gustainis' Morris and Chastain Investigations series, which is chock-full of crossovers. Charlaine Harris' story "Bacon" has a reference to Harry as a sorcerer who's gone public in Chicago. This story is part of Harris Southern Vampire Mysteries continuity, which obviously cannot be the CU since vampires live openly among humans. FWIW, Harris' recent novel MIDNIGHT CROSSROAD, the first in a planned trilogy, has appearances by characters from the Southern Vampire series, as well as several of her other series: the Harper Connelly novels, the Lily Bard books, and the Aurora Teagarden series. So all those series take place in the same universe, which is part of the same multiverse as the CU. There's also a couple of good connections in the Dresden Files comic book series - GHOUL GOBLIN opens with Harry fighting a Gill-Man in Lake Michigan (he gets away, and Harry's too tired to chase after him and "Mrs. and Junior Black Lagoon". The latest series, WAR CRY, reportedly features a shoggoth. Oh, and the film THE PRESTIGE has a scene (the bullet catch, as I recall) with the name Harry Dresden on an advertising placard for upcoming stage-magic acts, but given the timing it's impossible (barring time travel) for it to be this Harry - I figure it's his grandfather, or even great-grandfather, on Malcolm's side of course.